Home / IRS tax debt / How Long Does It Take to Pay Off IRS Tax Debt? Several factors will influence how long it takes to pay off your tax debt, including the amount of your balance, how old the tax debt is, and your overall financial situation. You may be able to settle your tax debt relatively quickly if you have low income and few assets. In other cases, you may need to make installment agreement payments over several years or more. The IRS generally wants your tax money as soon as possible. However, flexible payment arrangements are also offered to allow taxpayers to pay back taxes without breaking their budget. If you owe under $10,000, you can qualify for a guaranteed installment agreement if you can pay off your balance within three years. If you owe up to $50,000, you can typically pay off your balance over the course of 72 months with a streamlined installment plan by paying with direct debit. Taxpayers who owe $25,000 or less may be eligible for streamlined agreements using other payment methods. If you owe over $50,000 or the monthly payments under a streamlined agreement are too high for you, you’ll need to provide detailed financial information to the IRS in order to negotiate a plan that fits your budget. The IRS typically has ten years to collect taxes. If your collections expiration date is approaching, the IRS may expect you to pay more each month to maximize the amount they can collect. However, there are also cases where the IRS agrees to forgive a portion of your debt that is about to expire, such as partial payment installment agreements. Your tax attorney can help you determine if you qualify for this treatment. If you are unable to pay off your tax debt in full, you may qualify for an Offer in Compromise. The IRS generally takes a while to process these requests, but your debt can be forgiven fairly quickly if your submission is accepted, with a maximum repayment term of 24 months. Other factors can also impact how long it takes to pay off your tax debt. You may be able to get some tax relief using penalty abatement or innocent spouse relief, which can allow you to pay off the remaining balance more quickly. Your tax attorney can evaluate your case to determine the most efficient way to resolve your tax debt. Ayar Law provides creative solutions to your tax problems, including Offers in Compromise and penalty abatement. 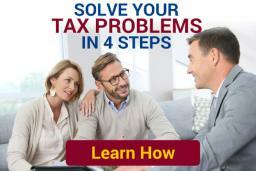 Call us at 248-262-3400 to schedule a consultation with one of our tax attorneys.